Emily Ash. The Weinberg senior will finish her term as ASG president this month. When Emily Ash was elected to Associated Student Government last year, she joined as executive vice president. 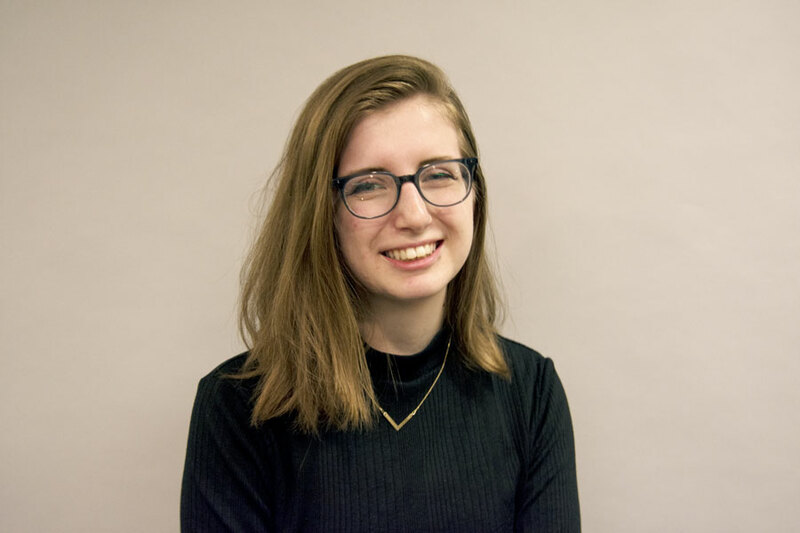 But when Sky Patterson, Ash’s running mate and the winning presidential candidate, stepped down in the winter, the Weinberg senior stepped into the role. Economics Prof. and ASG advisor Mark Witte said the move made sense for Ash, a “policy wonk” who had been just as involved in legislation from the beginning of Patterson’s term. Ash had always wanted to be involved in leadership. She started her ASG career as a member of the public relations committee before becoming the vice president of public relations. She said she was interested in being a “conduit” between administration and students, and made consistent, transparent communication with administrators to be a key facet of her administration. To that end, Ash worked to bring members in to speak to ASG Senate and wanted to reform the ways in which students and administrators interact, such as changing the format of community dialogues. Though she said she knows ASG is not the only platform with the capability to influence administrators, she ran for office because she saw the position as a strategic place to negotiate on behalf of students. Though the election was contentious until the end, Patterson and Ash ended up prevailing, winning 49.2 percent of the vote. Upon taking office, Ash set to work picking up on the priorities of past ASG President Nehaarika Mulukutla’s administration, implementing Senate seat allocation reform and Center for Awareness, Response and Education training for student leaders. Ash’s administration passed emergency funding for student groups in the face of the budget deficit. When she took the mantle of president in the winter, Ash worked to pass some of the accomplishments she’s most proud of. ASG began the winter by digitizing Student Organization Finance Office payments so they could accept Venmo — “good low-hanging fruit” that was easy to pass quickly and get the ball rolling on legislation. From there, Ash spearheaded efforts to speak out against Title IX changes from the U.S. Education Department, worked with Faculty Senate to provide suicide prevention training to faculty members and created a proposal for the Provost’s office around software affordability. Working with Residential Services to expand gender-open housing was one of the highlights of her term, Ash said. She attributed the speed with which ASG saw administration action taken on the policy to her bringing administrators in to Senate to engage with students and collaborate with them. The concept of holding space will define the legacy her administration hopes to leave behind, Ash said. Much of the legislation and advocacy that came out of the year, including getting University approval of both gender-open housing expansion and creation of an FGLI space on campus considered questions of what groups hold physical space on campus and what holding space means to those with marginalized identities. The more space that diverse groups hold on campus, Ash said, the more the University will be living up to the ideal of inclusion. Agneska Bloch, the vice president of academics, said Ash’s ideas for creating long-term inclusion and institutional knowledge of ASG made her a great president. Finding time for herself — to go to class, sleep, eat and take care of herself — was a priority for Ash. Past ASG presidents have struggled with balancing the demands of the job with their own mental health — Mulukutla discussed her struggles in her final speech to the Senate in 2018 and Patterson resigned to focus on her well-being. Ash said the intensity leading up to her election opened her eyes to the compromises student leaders make regarding their own wellness to pursue their passion. She learned quickly that in order to be an effective president, she would have to take care of herself physically and mentally. Leaning on her coworkers in ASG and others in her personal life carried her through the term. In giving advice to future presidents, Ash said prioritizing the quality of ASG’s work over credit claiming makes the job more manageable.